Grinding your own coffee beans is a fairly easy way to ensure freshness in your cup of coffee. Grinders can be inexpensive, and some coffee makers or espresso machines even have them built in. 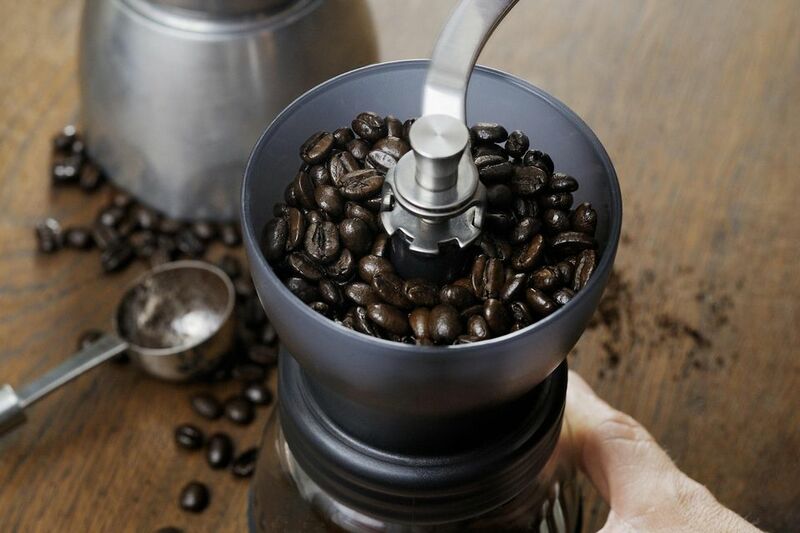 If you're thinking of buying a coffee grinder, you should consider the pros and cons of the two different kinds of grinders: blade or burr. Most inexpensive grinders use a metal blade to chop up the beans. The blade cuts up the beans, and you control the fineness by how long you let the grinder run. The resulting coffee grounds can be uneven in size, leading to inconsistent brew quality. Another downfall is that if you are grinding finely, leaving the beans in the grinder for a longer period of time, there can be significant heat created by the blades. This can give your final coffee a burned taste. These are fine grinders for basic use, but that's about it. Wheel Burr - The less expensive of the two burr grinders. The wheel spins very fast, and these grinders can be noisy. The higher speed rotation makes these grinders messier. Conical Burr - The burr spins slower than the wheel model, which makes them quieter and less messy. You can use a conical burr grinder for oily or flavored coffees and it's not likely to clog, like the other kinds of grinders.